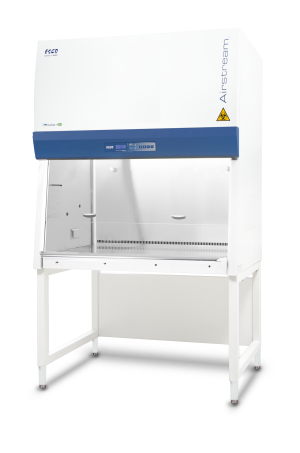 Airstream® Class II Type A2 Biological Safety Cabinet is one of the best choices when you are looking for operator, product and environmental protection for your laboratory. Now equipped with energy efficient DC ECM Motor, this is the most energy efficient Class II Biosafety Cabinet in the world offering 70% energy savings compared to legacy AC motor. Its SentinelTM Gold Microprocessor Controller displays all information you need on its screen. With its dynamic chamber, ISO Class 3 work zone and ISOCIDE™ powder coat on all its external and interior painted surfaces, you are ensured that you, the operator, as well as the product and the environment are protected from harmful biological agents. NSF 49 and UL 61010 certified, the Airstream® Class II Type A2 Biological Safety Cabinets proves that Esco is an industry leader in cleanroom equipment.